Thanks so much for the nod! Thank you so much for drawing my attention back to the playground where the child in me flows and grows… and where the writer, thinker, spirit-being-human connects with others of similar passions and imagination – wonderful, inspiring individuals like you. I have spent the last 2 years in a sort of pleasing but limiting tunnel, co-authoring & ghostwriting 2 non-fiction books for other people, and in the process, neglected my inner child of wild abandon. Consider yourself an angel this morning. Perhaps this angel side of you is one that you were are unaware of? Nevertheless, she exists – a creature whose broad wings swept once, twice across my sleeping cheek, and in her passing, woke me. The beating of her wings created a wake, a celestial path, an invitation to follow the music and join the dance. You will be remembered not just for the fluttering keyboard fingers that tap like dancers as you channel images and transform them into vibrant words, but for the heart that cares enough to see other souls – a person who stops to gaze and listen – and in doing so, brightens – enlightens – her corner of the universe. Thank you so much for the nomination! 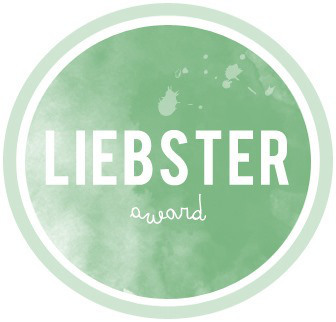 🙂 Thank you for your e-mail address, too, but most of my questions were answered when I read more about the Liebster award. I definitely have at least one left, though, and I will send that to you soon!